Summary: Weary Shinigami the Death dropped a notebook in the human world where a weary genius picked it up. “The human whose name is written in this note shall die” it said… It was the notebook of death that determined people’s death. 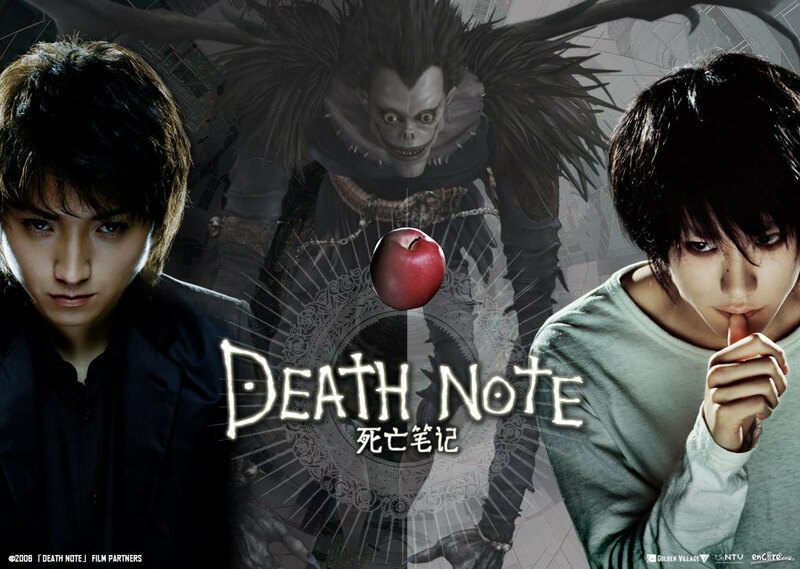 Light Yagami, an extremely bright elite university student was the one to possess this ultimate tool that should remain only in the hands of God. Light decides to create an ideal world and begins to hold the scales to judge the criminals in his discretion.Meanwhile, ICPO (International Criminal Police Organization) has placed a mysterious detective called“L” in Japanese police force to investigate a series of the criminal cases. “L” in the status of a divinity for his capacity and skill in gathering information and in reasoning had solved unresolved cases in the world, and now tightens the investigative screws over these cases, but Light also cleverly manipulating the notebook of death, tosses and shakes the investigation. The future of mankind is at the mercy of crucial and fierce battles of the two brains.